How to increase your social media follow? Why social media marketing is so important for businesses? According to Jason DeMers, the quality of social media followers is akin to the Pareto Principle of 80 - 20 rule. Let's say that you have 2000 likes on Facebook, only around 400 of them might be truly active. So the trick is to reach out to them by spreading the message about your service or product and encouraging them to engage with your brand. 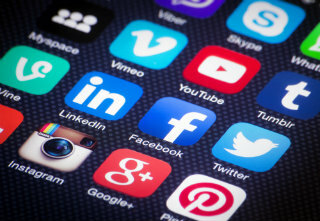 Here are 4 great ways of social media marketing to consider. Why reach out to social media influencers? Engagement and reach are two key aspects when it comes to social media marketing. So find out who the social media influencers in your chosen industry are and what type of content interests them enough to share with others. In the process, you get to learn more about your chosen industry, which makes it another plus point. How to interact with your audience on social media platforms? Reach out to your audience by finding out what interests them and make a good engagement strategy. Share content which may perk up their interest. Adding videos or pictures makes the content more attractive to readers. If you are intending to share the content via Twitter, do leave some space for RTs in a tweet's character count. Keeping a calendar for the content you posted is a great way to keep track of what you posted. Organising the content you posted is important too. Should you participate in relevant social media communities? Participating in social media communities that are associated with your industry is important for engagement and reach. If you are in business or service, consider joining relevant groups on Linkedln and Google plus. You can easily find them by using the search features of Google plus and Linkedln. Joining and participating in casual talk via Quora and Reddit is another good move for gaining reach and engagement. Why is it important to analyse social media marketing data? To gauge the success of your social media marketing strategies, obtain the data related to your accounts in terms of engagement and reach. Analytical tools like SumAll and SocialBro might come in handy. Go through the engagement metrics. For your Twitter account, there are the retweets, retweet reach, mentions and mentions reach. Let's say that there are the same number of tweets for the most recent week as the week before, but there has been remarkable gain in reach. This might mean some of your followers have been really busy. Find out who they are and interact with them more closely. By using SocialBro, you can find out the number of those who decided to un-follow you. There might be a good reason why they did so. Find out if you can make an improvement in your social media marketing strategies. Would you like to find out more? Visit our blog regularly and find out the most recent news about digital marketing strategies and SEO.